Within the app, the angler can review the captured fishing stats and add additional information to each trip. This allows the user to get a full picture of what has been working, what locations have been productive, and what patterns are emerging. Anglers have always had the option of recording fishing stats—number of catches, locations, etc.—in manual logs. The process is a tremendous pain, however, which is why so many, myself included, rely primarily on intuition. Anglr, a startup from my hometown of Pittsburgh, is bringing modern day data and analytics to the world of fishing, a sport more typically known for hunches, secret spots, and a whole lot of Budweiser. 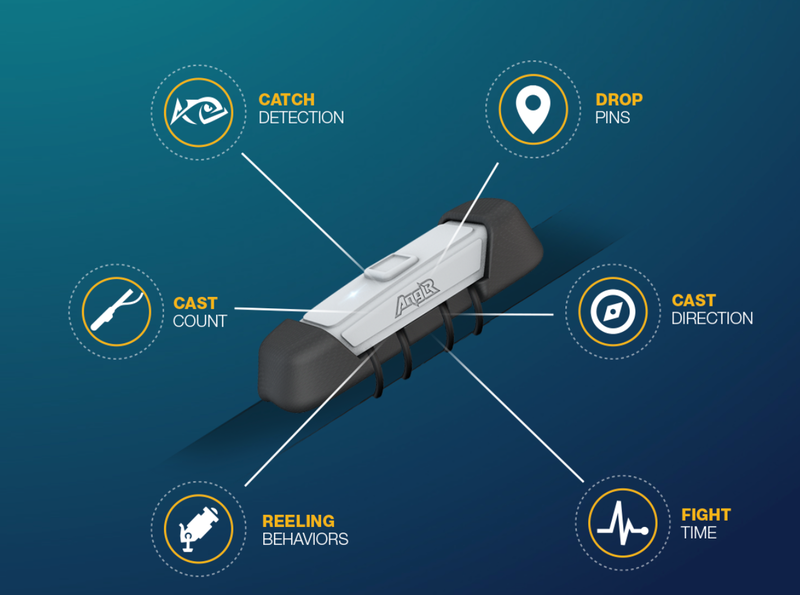 The company just raised $1 million in seed funding and hopes to help avid fishermen improve their performance by introducing to the core of the sport trackable and quantifiable feedback. The product has two components: the Anglr tracker and the Anglr app. The tracker is a small device that straps to a fishing rod and then connects to the Anglr app via Bluetooth. Using “smart sensors,” the tracker automatically records catches and cast counts. If an angler catches a fish, the tracker will automatically drop a pin on the map in the app. The angler can also manually drop a pin within the app by pressing a button on the tracker. For example, if he is catching loads of fish, he can drop a pin to indicate that his current location is a “honey hole” (yes, that’s what we call it). Specific information about each pin (species of fish, type of tackle used, a picture of the fish, etc.) must be entered manually through the app. Anglr soon plans to add additional stats to the tracker, including reeling behaviors, fish fight time, and the direction of each cast. Within the app, the angler can review the captured data and add additional information to each fishing trip. This allows the user to get a full picture of what has been working, what locations have been productive, and what patterns are emerging. The goal is to help anglers get a true, statistical understanding of their fishing trips. Any fisherman you talk to will tell you they’re interested in the data from their past trips. Problem is, nobody wants to use the manual logs that are available today to document that information. With sensors, we’re automating the collection of this information in a way that doesn’t alter normal fishing behaviors,” said Wilson. The team is working with a manufacturer in Pennsylvania for prototyping, tooling, and production, which means your tracker will be American-made. 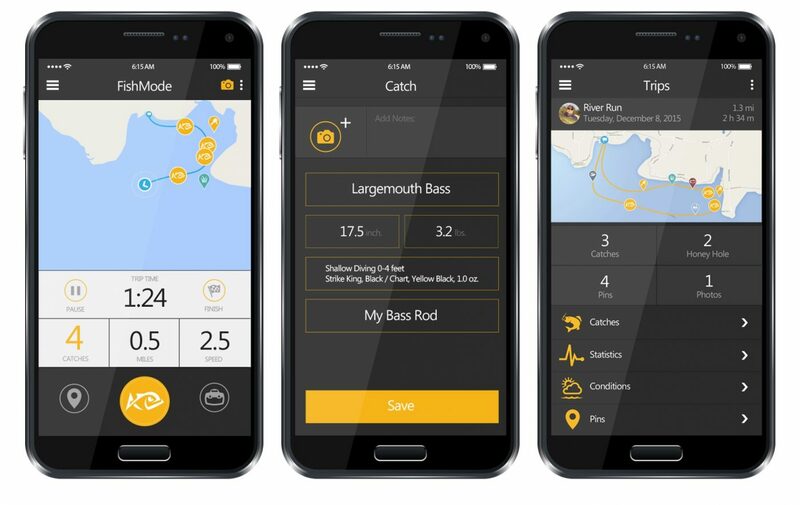 There is no shortage of apps allowing anglers to manually enter their fishing stats. But app or not, the manual entry is too time-consuming. What makes Anglr so attractive is automation. Over $10 billion is spent every year on fishing equipment, and many of those anglers will certainly be interested in upgrading their gear to include this gizmo. The tracker can be pre-ordered for $129.99 and the app is available in beta on the Google Play store. An iOS app will be available next week. No brainer. Love being on the lake, but sometimes I wonder why things are not happening the way they should be. With this extra information, I should be able to get those answers. This product is pretty awesome! I love all of the stats that my fitbit can pass along and would believe I would feel the same way should I be able to see what’s going on with my fishing rod. Heard about this. This could change the way you fish for sure. I like the app connection, which is going to be a huge seller for the younger crowd these days. Wow, this is really cool. There are at least a dozen fishing friends of mine that would drop everything to get one of these.